The National Science Foundation (NSF) announced that their Data Center IT servers will be moved to the agency’s new headquarters in Alexandria, Virginia at the end of this month. The move will take place between June 30 at 8:00 PM EST and July 4 at 6:00 PM EST. This is in preparation for the NSF staff’s relocation in August 2017. 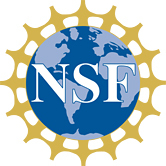 During this moving period, the NSF website, Research.gov, and FastLane will be unavailable. This means proposals cannot be submitted in FastLane, project reports cannot be submitted in Research.gov, and there will be no access to the website.